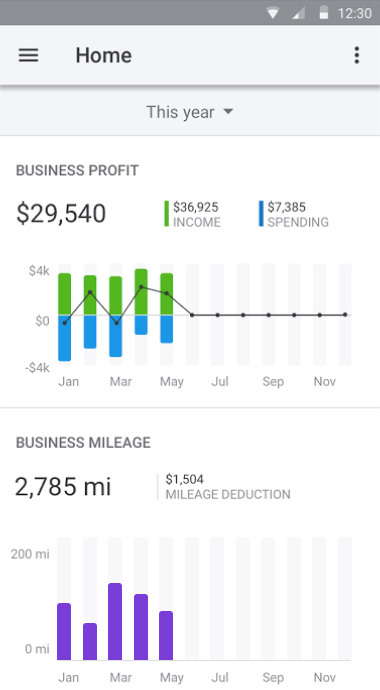 Demystify next year’s taxes—let QuickBooks Self-Employed do the year round tax work for you. Keep records of job-related expenses automatically, and stop guessing on your tax deductions. 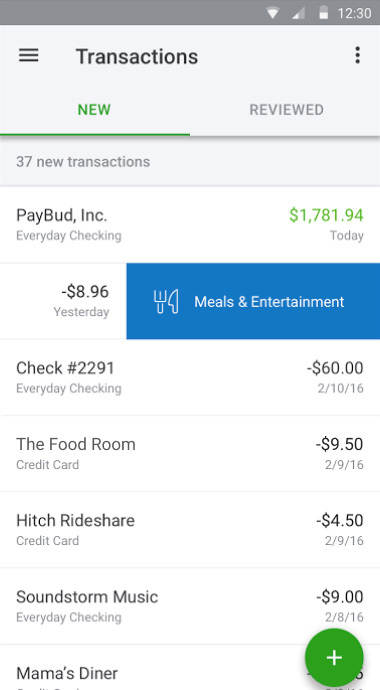 Cut your tax bill, just by categorizing transactions. 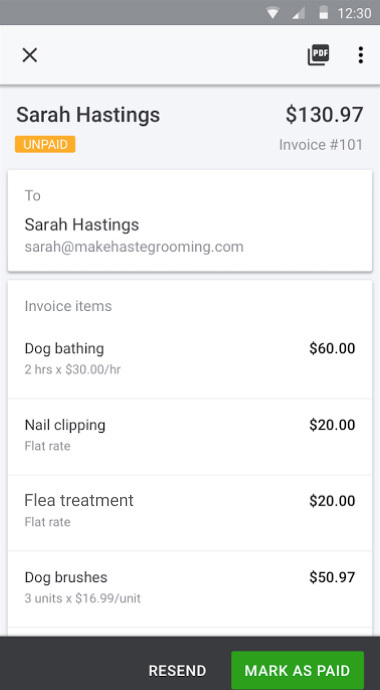 Send invoices that get you paid fast. 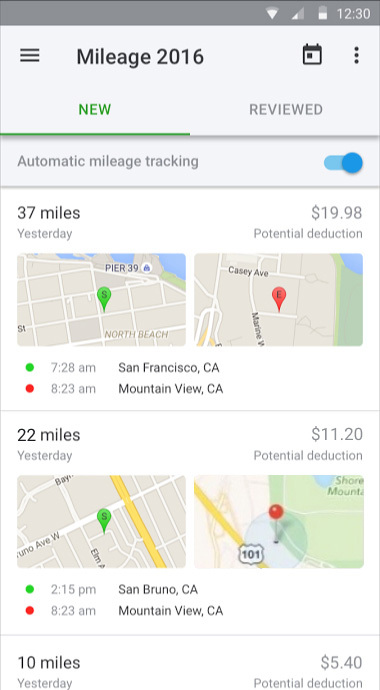 Record your trips automatically and find more mileage deductions. 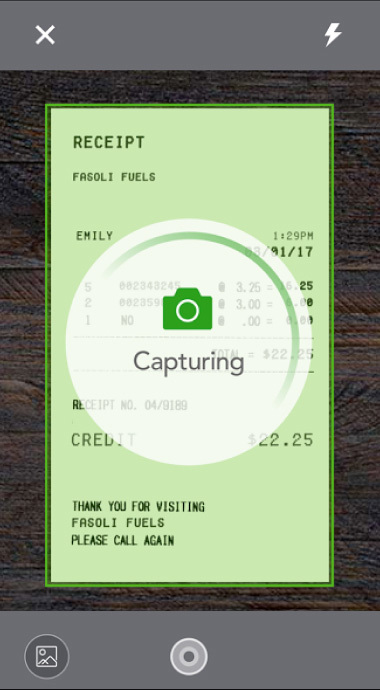 Take a picture of your receipt and it automatically matches to your transaction in the app. We do the math to help you set money aside. 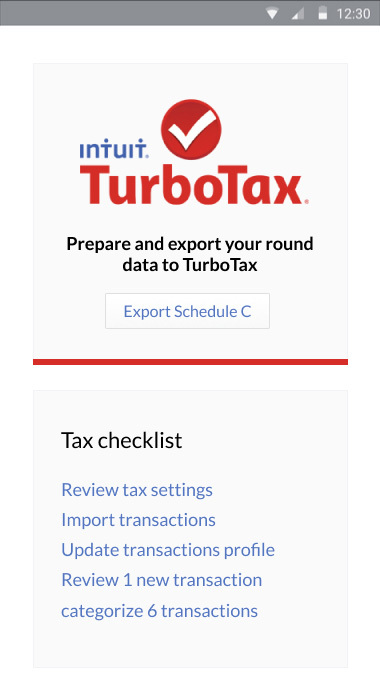 Upgrade to the bundle and we’ll export your Schedule C to TurboTax. You’ll have everything you need to do your taxes. support, pricing and service options subject to change without notice.